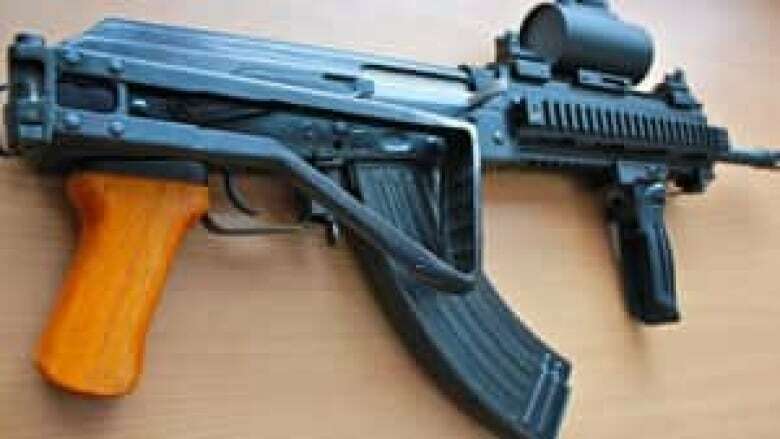 The RCMP are racing to track down and seize hundreds of replica AK-47 BB guns imported from China that investigators fear can be easily reconfigured into deadly prohibited weapons. The Mounties launched raids and seizures last week on a number of gun stores in B.C., Ontario, and Quebec. Investigators believe the toys — assembled with authentic parts from the Chinese Type-56 version of the AK-47 semi-automatic assault rifle — can be transformed into weapons with a simple switch of the gun's barrel and bolt. The weapons were allowed into the country as BB guns after being inspected and approved by the Canada Border Services Agency. The RCMP and its National Weapons Enforcement Support Team (NWEST) refused to discuss details of the raids last week. In an email, media spokesman Sgt. Richard Rollings told CBC News "the RCMP does not comment during the course of an investigation. In the event that criminal charges are laid, the RCMP would confirm its investigation." Police would also not comment on whether they've seized any of the replica BB guns turned into prohibited AK-47-style weapons. However, two gun sellers visited by the RCMP said police told them they are alarmed because they found one of the replica guns at the scene of another investigation, raising the spectre criminals have figured out how to get cheap AK-47s through BB gun retailers. CBC News has made repeated inquiries this week to the Canada Border Services Agency but so far has been offered no explanation as to why the shipments of guns were approved for entry into the country. Despite the RCMP investigation, a CBSA media spokesperson claimed on Wednesday that import records in the case have still not been tracked down. Gun buyer and distributor North Sylva has ordered and imported the BB gun replicas over the last 14 months. A spokesman for the Toronto-based company declined an interview, but managers insist the shipments were inspected and approved by the CBSA and that their company paid taxes on the BB guns before reselling them to army surplus stores and retailers across the country. "When they came in here, I did not have a clue," said Tony Messina, owner of North American Blade, a hobby and novelty shop based in Mississauga, Ont. "I sell BB guns and pellet guns. I don't carry any firearms. "This is just BB guns and pellet guns." Messina was handcuffed by RCMP investigators last Friday during a search of his store and officers seized two of the weapons which Messina said he believed were harmless. "I think right now people have bought them for what they are — BB guns. At least my customers have. There may be somebody out there who may try" to convert them to semi-automatic assault rifles, Messina told CBC News. North Sylva and Messina said they were shocked and mystified to learn that a BB gun approved by CBSA for import into Canada is now being seized as a potential prohibited weapon. "Very very scary," said Messina. "I mean I've got children too, and you know what — that's the last thing we want to see." Messina said he's spent a number of sleepless nights fearing he could now be in trouble with police. "The [CBSA] should have checked things out before they actually allowed them to be sold. Somebody messed up. I'm just hoping that in the near future they can and will hire somebody who knows what's coming into the country." The RCMP also executed searches and seizures at a number of other retailers across the country, including at replicaairguns.com — an online BB and paintball gun seller based in Langley, B.C. Owner Michael Kaye would not discuss last week’s visit from police and has removed numerous videos promoting the weapon from the internet. 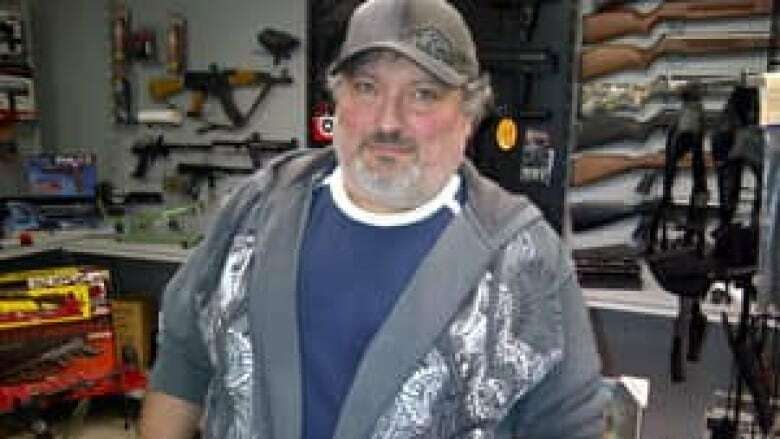 In an email, he told CBC News the general public doesn't understand his business nor his fellow BB gun enthusiasts and says his website is "for those interested and passionate about the hobby I am also just as passionate about." An investigation by CBC News revealed Kaye has been selling the replica assault rifle for about a year for between $250 and $299, promoting it as: "Excellent, with an all metal and wood construction. This gun is more like a real AK-47 than it's like a BB gun." If you have any tips on this or any other story, please contact dave.seglins@cbc.ca or john.nicol@cbc.ca. Kaye also told an online discussion group for BB and pellet gun owners, "the [body] portion of this gun is from a real AK!!" "I answer these questions over and over again," Kaye explains in the video. "Can I use real ammo in a blank gun? Or can I convert a blank gun to shoot real ammo. First of all, this is probably highly illegal just about anywhere in the world. "If you do it, you are probably breaking all kinds of laws."